There is much debate over which type of grill is the best. The answer to that question is really that there is no right answer. The ‘best’ type of grill varies depending on where you’re cooking, what you’re cooking, your taste preferences, etc. However, supporters of classic charcoal grills–otherwise known as charcoal purists–do make a strong argument for the benefits of charcoal-based grills. The most notable advantage of charcoal grills is that these grills produce more smoke than other types of grills, which infuses a wider range of flavors into the food you cook. Whether you’re a charcoal purist looking for an upgrade or you’re in the market for your first grill, these six top-quality charcoal grills will not disappoint. This dual-use pellet smoker and grill is a versatile grill that can take care of all your outdoor cooking needs. It heats up to 500 degrees Fahrenheit, which is a much higher maximum temperature than most other modern charcoal grills. Its auto-ignite feature makes turning the grill on and off simple and safe. Plus, its built-in food temperature lets you know exactly when your food reaches a safe temperature. You can cook several pieces of meat–up to four full-size chickens–at a time on this grill’s 570 square inches of available cooking space. One of the most common complaints about charcoal grills is that they can be more difficult to clean than gas grills. This grill solves this problem with its built-in cleaning systems. 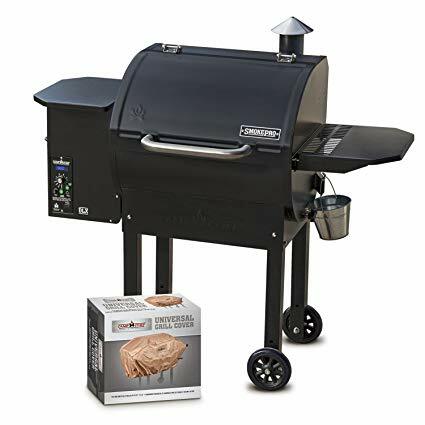 It features a grease drip pan, a pellet drain shoot, and a lever that immediately empties any ash residue from the grill into a plate below. Its solid patio cover also minimizes the amount of smoke that escapes from the grill into the air while you cook. These features ensure that the post-cooking cleaning process is fast and easy every time. Crafted from durable steel and powder-coated to resist rust, this charcoal grill is ultra-durable and made to last. It effortlessly withstands outside conditions and still look pristine and brand-new without any visible wear and tear. Its cast iron grate expertly sears your meat to perfection and improves the durability of the entire grill. Heat control is made simple even for novice grillers with an adjustable fire grate, heat gauge, and warming grate. You won’t ever run out of space to put your food, even if you’re cooking for a large group. 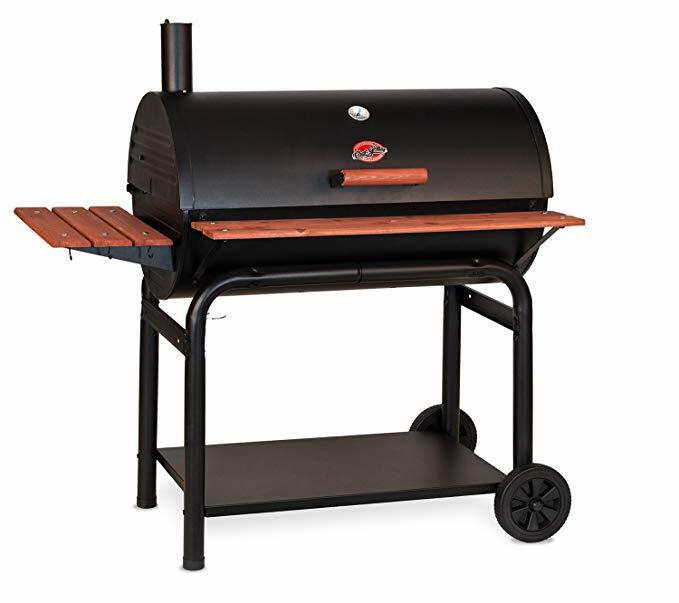 This grill offers 725 square inches of primary grilling space and 338 square inches of secondary grilling space for a grand total grilling area that measures 1,063 square inches. Cleaning up after cooking on this grill is easy. Just remove the built-in ash disposal pan and empty it into a waste bin–that’s it! When you’re done cooking, you can store your essential grilling accessories on one of three built-in shelves so you’ll have them on hand the next time you fire up your grill. This small, unobtrusive charcoal grill is perfect for everyday backyard grilling for yourself, your family, or a small group of friends. Its bowl is enameled with porcelain and its cooking grate is made from plated steel for maximum durability and a sleek finish. It features a cleaning system that is also made from steel; this system includes a removable ash catcher that allows you to dispose of any ash with just one touch. 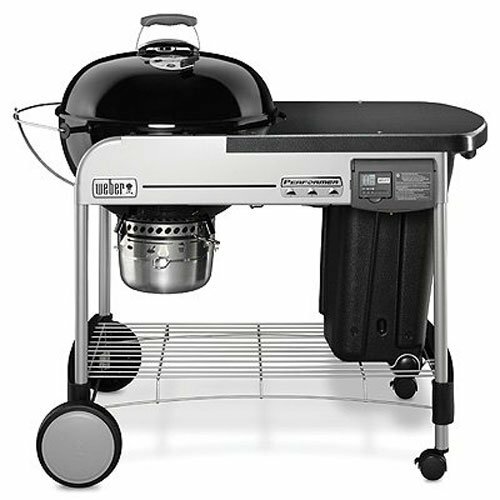 Even though this grill is on the smaller side, it still offers a good amount of room for food with a grilling area of 363 square inches that can fit up to thirteen standard-size burgers at a time. Its durable grilling area accommodates both direct and indirect grilling. Controlling the temperature is easy; just adjust the dampers as needed while your food is cooking. If you need to move the grill around your yard, you can do so without a second thought using its attached wheels for easy portability. 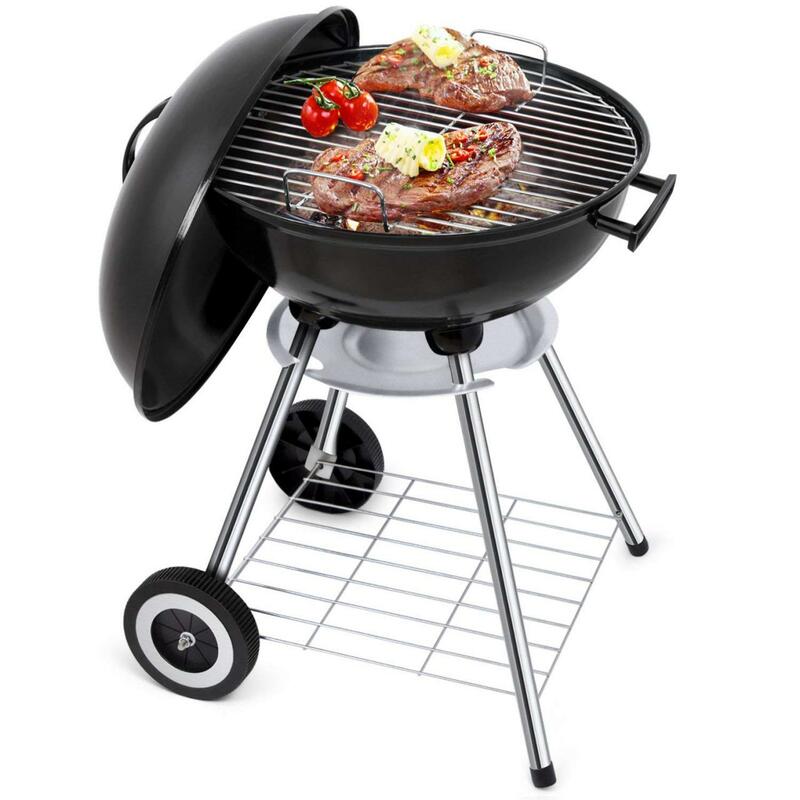 This ultra-portable grill is super lightweight and features attached wheels for effortless mobility. 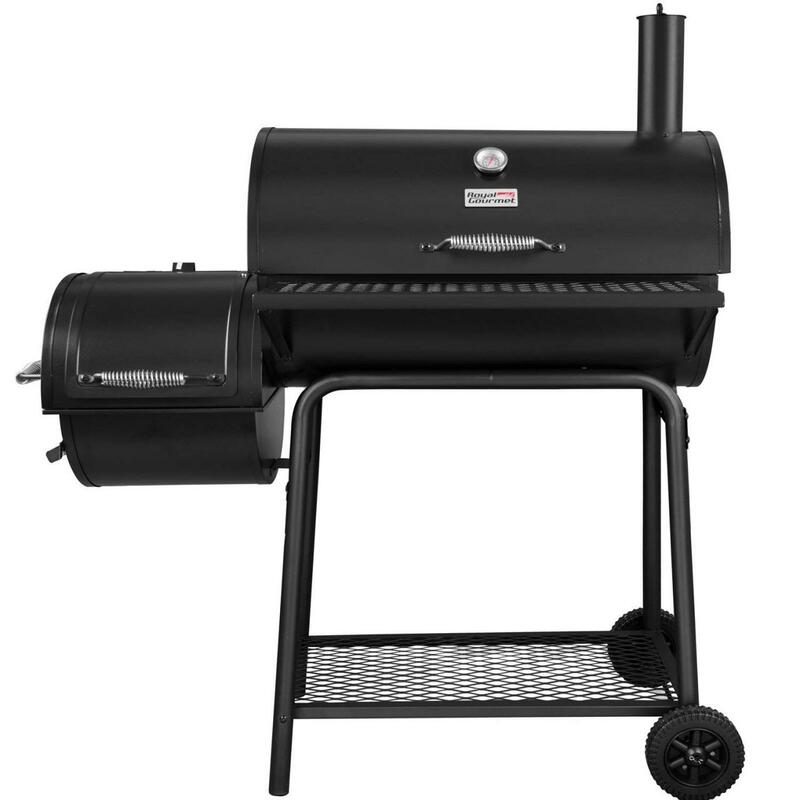 Its 18 inches of grilling space is wide enough to cook multiple pieces of meat, along with vegetables, etc. You can easily cook an entire meal’s worth of food on the grill at one time. Its classic design and small stature make it the perfect festive, helpful addition to barbecues and tailgates. Despite its small size, this grill is extremely durable. Its body is crafted from heavy-gauge steel coated in porcelain, its lid is enameled with porcelain, and its legs are made from aluminum to resist rust and other wear and tear. It also doesn’t get weighed down with ash and other residue, thanks to its one-touch cleaning system that includes an ash catcher. This super-efficient, easy-to-use grill makes outdoor cooking fun and hassle-free for beginners and experienced grillers alike. Its wire cooking grates ensure that all of your food heats up evenly and retains its juices for a tender, flavorful finish. Its adjustable charcoal pan allows you to maintain complete control over your food while it cooks. Just use the lifting handles on either side of the grill to shift the height of the charcoal and change the temperature for your food. An adjustable vent and clear, easy-to-read built-in temperature gauge makes monitoring and controlling your grilling process even easier. In addition to being functional and efficient throughout the cooking process, the grill is also very convenient. It features two storage racks–one underneath and one in front–to hold all of your grilling accessories, and its two attached wheels allow for easy storage and transport. Plus, its swing-away warming rack offers a secondary cooking area in addition to this grill’s 438 square inches of primary grilling space. You can cook thirteen hamburgers at a time on this large grill’s 363 square inches of grilling space. The grill’s touch-n-go ignition makes lighting your grill easy and Its built-in thermometer allows you to passively monitor your cooking temperature and adjust it whenever necessary. Adjustable dampers, which you can shift without lifting the grill’s lid, give you even more control over temperature and heat. Cleaning up this grill is as easy as lighting it with its built-in one-touch cleaning system. Its high-capacity ash catcher easily clears away any ash residue and detaches smoothly for easy disposal. If you have charcoal left over when you’re done using this grill, you don’t have to throw it away or leave it inside the grill. Just empty it into the built-in CharBin storage container that keeps your grill clean and your charcoal safe from harsh weather in between cooking. 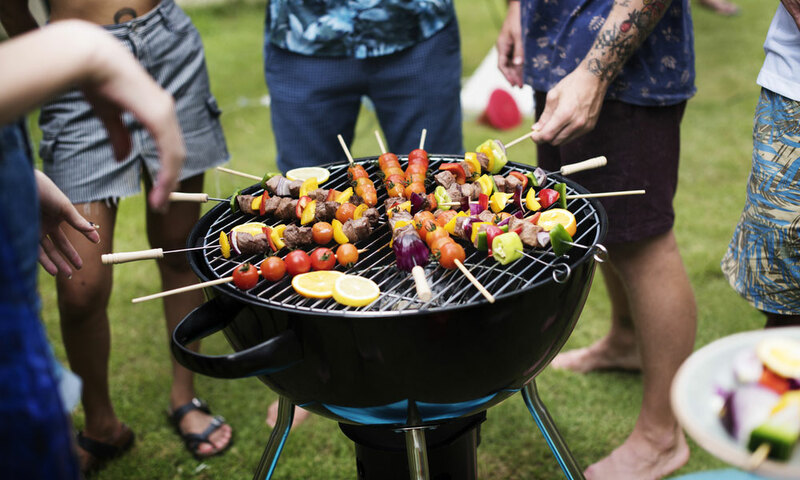 Having a charcoal grill in your backyard can help you cook intensely flavorful, delicious food that is sure to impress your friends and family members. 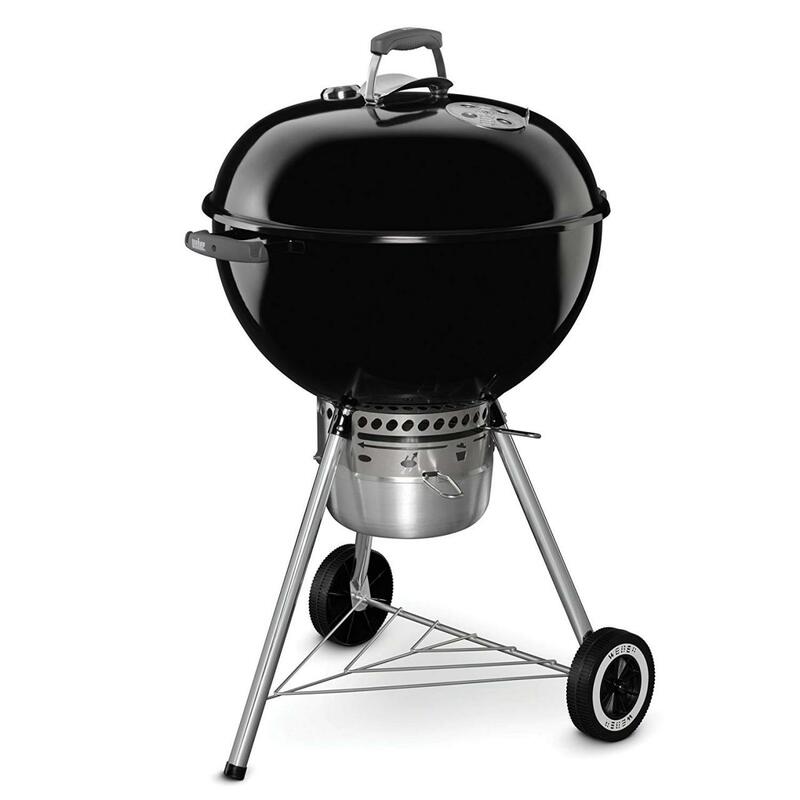 The grills in this post are some of the best charcoal grills on the market. They are made to last and make cooking and cleaning up easier than you’ve ever thought possible.